All iPhone - Blackberry - Android Smartphone Updates | Get all iPhone, Blackberry and android smartphone updates (GSM/CDMA Network),Themes, Games, Apps, OS, Review and so forth. Get all iPhone, Blackberry and android smartphone updates (GSM/CDMA Network),Themes, Games, Apps, OS, Review and so forth. With digital revolution, as smartphones continue to touch each and every aspect of our lives, people’s dependency on digital tools also keeps on growing exponentially. From simplest of tasks like communicating with your near and dear ones to buying something or finding a new place or even watching content and whole lot of other myriad works, smartphones have taken our lives to an entirely new dimension, without which we cannot even think to survive in the present world. Keeping your smartphone secured thus has become utmost necessary for various reasons. Below mentioned are some simple tips that can be easily followed to keep your device sound and safe. Now a days, most phones offer facility of screen or pattern lock. So if you think that some eyes may pry on your beloved device, then install a lock system which may be either in form of personalized shape or pattern that is drawn on the screen or PIN code or even newer innovative ways like finger print ID. With the immediacy becoming a huge factor, now a days people are looking to carry devices that are handy to carry but powerful like computers. So as capabilities of smartphones approach those of a PC, ensuring protection for a smartphone has also become more important due to significant rise in threats in accordance to usage. Many companies have seriously started to offer software that can ward off malwares and other suspicious programs. While you may think that using screen lock will defend your phone against others, but in reality if someone removes SIM card from your device, he or she can use it in other mobiles. To prevent this from happening, you should set up a SIM card lock in the form of a PIN number that will need to be entered when a phone is turned on. As you should know that a vast majority of Android malware comes from unreliable third party application sources. Google has also kept working on making the Play Store safer than ever so make sure you use only those apps that have good reviews in the Play store. You can also automatically scan your Android device for malware when you install programs. In order to do this, go to Settings > Security > Play Protect. For maximum security, click Full scanning and “Scan device for security threats” on. There are many applications that get continue to get updated even when you are not using, and there is every possibility of a malware sneaking up through the internet into your phone without even your knowledge. The fewer program doors you have into your smartphone, the fewer chances an attacker has to invade it. Always switch off your wireless connections when you are not using your smartphone, because it ensures that no one can connect to you without your knowledge. Also be extra careful while using public wireless and hotpots because they contain serious malware content that may damage your device. As many smartphone social networking apps automatically upload photos to the Internet, some of them embed location tags, also called “geotags,” right into the photo files themselves. Things may always turn out bad if you are not careful but it would be worse if you are not prepared to get them restored. So backing up your data is most essential. Make sure, “Back up my data” and “Automatic restore” are enabled in the settings and synced with Google. Never click on promotional emails or texts sent from suspicious spots. Avoid looking into password prompts and attachments because they may be containing harmful content. Since the advent of technological advancements on touch screen mobile phones, the debate between Android phone users and iOS mobile users is one of the most prominent one in the modern world. Both are operating systems that are infused with a lot of applications and functions that are cherished by its users. If you haven’t yet used any of these devices, you certainly will be having a hard time selecting one. That is exactly what this blog intends to do. We will be providing you with a detailed list of differences between Android and iOS. We have done thorough research to come up with the answer to one of the most debatable questions in the modern technological world. Click Here to Know about-> What is Android? A list of all the major differences between Android and iOS are mentioned below, you may go through this to get a quick overview of what’s in store. Whatever you choose, Android or iOS you can be certain that the device will offer you excellent service. You might even consider them both to be the same. Just to be a little more sure about what you are looking for a detailed discussion on both the operating system’s major inconsistencies are given below. The hardware on an iOS device is fully manufactured and owned by the Apple company. This means you can be sure of getting premium quality hardware and support almost every time. The company focuses primarily on style and simplicity. On the other hand, there are several brands make mobile devices hosting Android operating systems. This offers you a wide range of style and builds quality. The premium brands of Android OS can easily compete with the top Apple mobile devices. But as you move lower in the range you get cheaper build quality and features. With Android, it is just a matter of price and the better you pay the better you get. The Android OS is notorious for not letting out updates to most devices. You will find a number of Android brands that still not have the latest updates. You might even find some phones not even supporting the latest updates. Comparatively, iOS devices are offered better support for older devices and have regular updates for all their devices. To be certain that you have the latest iOS update all you have to do is get the latest Apple device. The Android on the other hand only rolls out the updates on select devices. The Google Play store is the stock application store for Android. A wider array of applications and utility services are offered here. Developing applications for Android is a real headache for the developers as the applications have to be made while keeping in mind the dimensions of different Android devices from different brands. Also, security is a major concern as a lot of fake applications are available on the store. Apple has a tight grip on what it hosts on its App Store. You won’t find any duplicated applications and you can be certain that all of the apps are secure. Moreover, Apple devices are consistent in size and hence developers can easily design applications. The support on both platforms is good. However, with the Android operating system, you have a wide range of hardware application and hence support on a broader scale is required. This is often neglected and troubleshooting methods for only select Android devices are available on the market. On the other side, with Apple, you are certain about the device structure and hardware hence a more personalized support system is made available to you. If your iOS device shows irregularities you can just visit the nearest Apple store and get it fixed, unlike Android OS where you have to find the exact brand store to fix the abnormality. Get Prepared for Android Interviews ! The Android operating system has at the moment one of the best personal assistants in the form of Google assistant. It keeps you in touch with almost all aspects of the application that Android can provide. From getting you live traffic updates to taking care of your appointments on the calendar, the Google Assistant proves to be one of the best features of an Android operating system. The Apple virtual assistant is named Siri and with consequent updates, it is up to the profile of Android’s Google Assistant. It does comparatively simple tasks and still isn’t updated enough to match the complicated workings of the latter. One of the biggest advantages of being an Android user is its customization. This feature becomes even more prominent on Rooted Android devices, it basically opens up the whole device to customs updates and modifications. Android is the right choice for you if you are looking for control and value that over elegance. Apple has a strict policy on customization and there is not much that you can do with this operating system. The device will make up in its precise attention to detail and quality apps developed exactly for the device. If you are someone looking for flexibility in choices then Android is the way to go otherwise iOS is your best friend. The initial machines that hosted iOS and Android operating systems didn’t have a lot of storage space or battery capacity. You would have to recharge the device several times a day. Nowadays the situation has changed for better and you can go for days without charging your device. However, if you want to change your battery or increase your storage space, you won’t be able to do that on iOS devices owing this to their strict policies. On the other hand, most Android devices allow you to change or upgrade both storage space or batteries. This is where iOS makes up for all of its loss in customization features and other limitations. As the operating system is wholly controlled by Apple you can be certain that almost anything that goes into the device is safe and has to be safe. You won’t even find a single malware application on the Apple Store also. Android users are traditionally the major targets for malware apps. The liberal policies of open ware customization and other such features compromise Android’s security. You have to be alert all the time while using an Android device. All of the security aspects are dependant on how you take care of the device. Generally, the iOS devices cost higher than the average Android device. But the cost is justified because of the exclusivity of the device. The Android devices, on the other hand, has a wide range of choices and hence the price. You could find absolute cheap Android devices to the most luxurious ones. As mentioned earlier, most of the times with Android the better you pay the better you get. Get Prepared for iOS Interviews ! The general features of both the operating system devices are mentioned below. Both the operating system fare well when it comes to doing all the basic functions required from the device. The difference of opinion arises when it comes to the added features of the devices that support these two operating systems. The Android system, in general, has traditionally offered greater control and flexibility over its components while the iOS operating systems are most elegant and secure. In the end, it will depend on your preference whether you want to control everything your phone does or have better security. Hope this article helped you create a better picture of what you want and cleared most of your doubts. Mobile phone use has evolved into a major disruption to the daily lives of millions, if not billions, of adults worldwide. New research shows 1 in 5 women lose sleep because of the time they spend on their smartphones, versus 1 in 8 men. QUEENSLAND, Australia — Smartphones are draining the number of hours we sleep, making us less productive, and could even be making some people feel physically worse in general, according to the results of new Australian survey. Researchers from the Queensland University of Technology say women especially are suffering from the effects of “technoference,” or the problems that arise from too much phone time. The survey was administered to 709 mobile phone users between ages 18 and 83 in 2018, with questions stemming from a similar survey by the group in 2005. “When we talk about technoference we’re referring to the everyday intrusions and interruptions that people experience due to mobile phones and their usage,” says Dr. Oscar Oviedo-Trespalacios, of QUT’s Centre for Accident Research and Road Safety, in a media release. In comparison to the original survey, the authors found that 19.5 percent of women lose sleep from time spent on their phones, compared to 11.8 percent of men. Those numbers are notably higher from the original survey, when just 2.3 percent of women and 3.2 percent of men felt the same way. Today, the research shows, 24 percent of women and 15 percent of men could now be classified as “problematic mobile phone users.” The youngest segment of the group was especially at risk. Researchers say about 41 percent of all people ages 18 to 24 fit the mold. “This finding suggests that mobile phones are potentially increasingly affecting aspects of daytime functioning due to lack of sleep and increasing dereliction of responsibilities,” says Oviedo-Trespalacios. Many participants agree they’re getting far less done each day than they did in 2005. The authors found that 12.6 percent of men felt they’re less productive, compared to 0 percent in the original survey. For women, 14 percent also felt a drop in productivity, versus 2.3 percent in 2005. In fact, 14 percent of women and 8.2 percent of men go as far as trying to hide the amount of time they’re staring at their phone screens, an admission up from 3 percent and 3.2 percent respectively. Technoference affects more than just our mental state. Respondents were even feeling more aches and pains that they believe are a result of smartphone use. That was the case, at least, for 8.4 percent of women (up from 3 percent) and 7.9 percent of men (up from 1.6 percent). Meanwhile, 25.9 percent of women and 15.9 percent of men would actually rather use their phone than deal with real-life priorities — up from 3.8 percent and 6.5 percent, respectively. Researchers say that statistic alone shows that many people turn to their devices for coping. Interestingly, and perhaps for the better, fewer participants noted they couldn’t actually afford to pay their monthly phone bill compared to the original study in 2005. 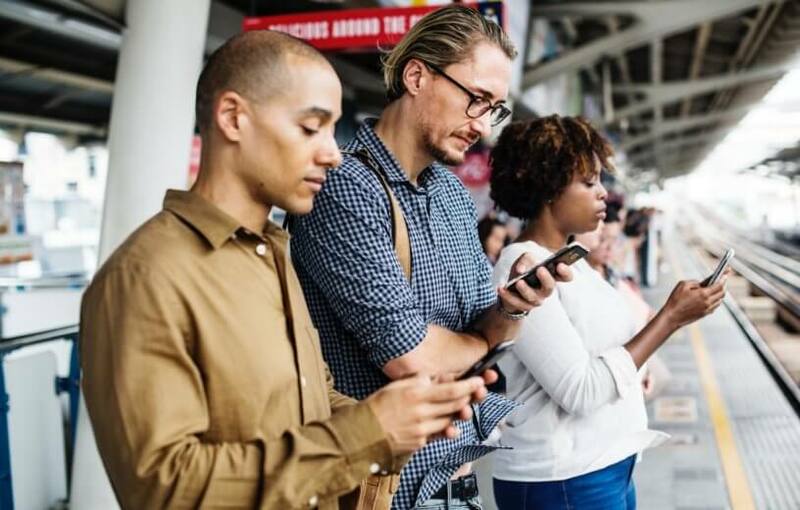 Researchers say that more than 2.5 billion people worldwide are estimated to own a smartphone in 2019. One can only wonder what technoference will look like in another 13 years, come 2032. The study’s findings are published in the journal. Frontiers in Psychiatry. In one of the biggest exposes unearthed, it has been revealed that massive fraud is taking place in the smartphone industry in India. This fraud actually changes everything we know of, regarding online sale of smartphones, and if not stopped, this can harm the entire industry. It seems that we are living in a bubble of fraud, and unethical practice. Online Smartphone Sales Data Is Wrong? Since last few years, ever since the habit of ecommerce and online buying picked up, we have reported how smartphones are the #1 commodity which sells online. Reports suggest that as much as 47% of all goods sold online are smartphones. This means that almost half of all online shopping is done only for smartphones. Another report suggested that upto 38% of all smartphones sold in India are online-based. This means that one-third of all smartphones sold in the country are bought via ecommerce portals such as Amazon, Flipkart, Paytm Mall and others. But now, we strongly believe that these numbers are fake, and Indians are not buying so many smartphones online, after all. Reseller Fraud Exposed: Is This Cheating? Gurgaon based market research firm techARC has revealed that resellers on popular online shopping portals such as Amazon and Flipkart are resorting to fraud. This is what they do: Whenever a flash sale or special discounted sale happens, or a new smartphone is exclusively launched on online platforms, they buy those handsets in bulk, via various accounts. Once bought, these smartphones are then sold via offline channels, at an increased price, and often at a premium price as well, since they are now ‘out of stock’ on online portals. This means that almost half of all online sales reported by brands are fake, as they have been in reality bought by resellers themselves. The report has been prepared after taking inputs from retailers, distributors, logistics companies. As per techARC, only 20-22% of all smartphone sales are actually online based, rest are sold via offline channels. First of all, the smartphone brands which are offering deep discounts on online sales are cheated by resellers. These discounts should go to the consumer, but instead, they are grabbed by the resellers, who then encash the same via offline route. Hence, both consumers and brands are cheated here. Second, the smartphone brands are cheated again, lured by the rosy numbers presented by online portals like Flipkart and Amazon. Based on the numbers, the brands collaborate with them, and thus, genuine offline retailers are not given the chance to make it big. Large corporations collecting our data and resetting passwords after every major data breach can feel like an inevitability we just have to accept in 2019. But there are ways to protect your data and privacy. The most important tool is a password manager. Using a password manager to randomly generate long complex passwords is arguably the most important step you can take in making your online accounts more secure. The two Lifehacker recommends are 1Password and LastPass. Choosing a browser other than Chrome can seem like a futile effort, given its dominance of the market. But when it comes to data privacy, there are much better options. The two we recommend are Firefox and Brave. In addition to using a more privacy-focused browser, using a VPN service to mask your internet traffic is also a great way to be more secure online. My colleagues have written extensively on how to choose the right VPN and how to make sure the one you’re using is trustworthy. I already made a video about how messaging apps are a mess, so I’ll keep it brief. In an ideal world, we’d all convince our friends and family to use an open-source end-to-end encrypted messaging platform like Signal. Given how fragmented cross-platform messaging is, iMessage and WhatsApp are good alternatives. They’re end-to-end encrypted and popular. Obviously, one is owned by Apple and the other by Facebook, so it’s up to you how much you trust these companies to keep your data private. It feels like every day there’s a new data breach that exposes customer data and credit card information. That’s why we recommend using Apple Pay or Google Pay wherever you can. Both services hide your actual credit card number behind a virtual one, so merchants are never given that data. That can be a lifesaver if a retailer has a major data breach. IN A TINY lab at UC Berkeley, next to the whirring 3D printers on the wall, in front of an old Persian-rug-patterned couch, stands Blue the robot. It’s a pair of bulky humanoid arms—only with pincers for hands—attached to a metal stand. Wielding a pair of VR motion controllers, I wave my arms around, and Blue follows me faithfully. It’s my own robotic doppelgänger, kind of like the human-piloted, monster-fighting bots of Pacific Rim, only way cheaper. That’s the beautiful thing about Blue. Research on robots has for decades been hamstrung by extravagant costs—the popular research robot PR2, a pair of arms not dissimilar from Blue, will set a lab back $400,000. Blue’s reliance on 3D-printed components puts its price tag much lower, at just $3,000 in materials per arm, and the goal is to get the total cost, with manufacturing at scale, to $5,000 per arm. If Blue’s creators have their way, that price point will launch the robot into research stardom, forging a future in which Blue’s descendants do our dishes, fold our laundry, and pick up around the house. And who knows, maybe one day they’ll fight giant monsters making a mess of San Francisco. Historically, if you wanted to operate a robot arm, you had to keep humans far, far away, lest the machine fling them across the room. That’s why industrial robots have been literally kept in cages. But robots have been getting a lot better at sensing their world, in particular reacting to human contact by stopping before they hurt us. This has led to a boom in collaborative robotics, where humans work right alongside machines. The author pilots and (temporarily) breaks the robotic system by getting in the way of the VR motion sensors. Blue, on the other hand, isn’t particularly sensitive to human touch. Instead, it’s elastic, in a sense. As I pilot the arms around, Gealy can push on them, and the arms give way a bit instead of shutting down. 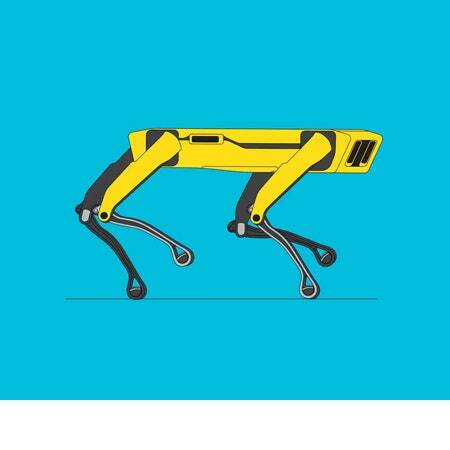 This is because the robot’s relatively cheap motors are “backdrivable,” meaning a human can grab the arms and move them around even when the machine is powered off. Being on the cheaper side, the motors aren’t supremely accurate. 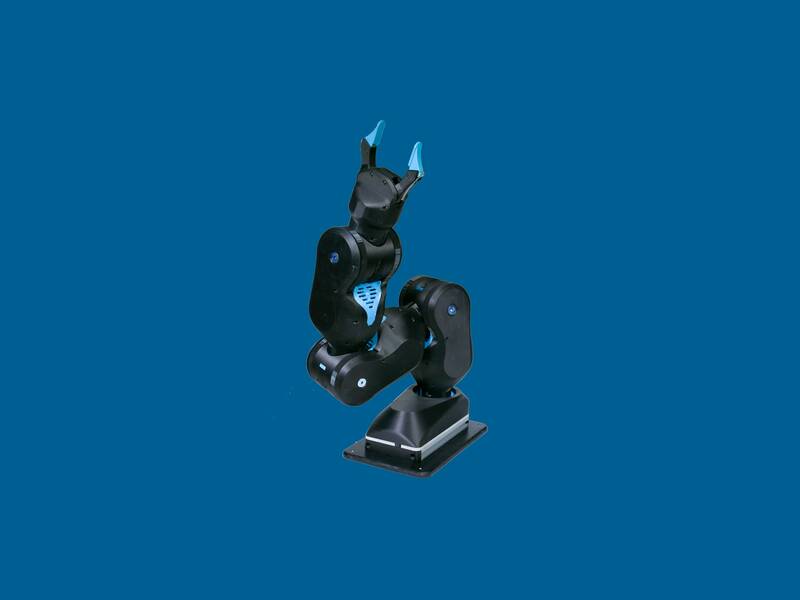 Blue won’t hold its own against an assembly robot that has to, for example, put a tiny screw in place over and over. But Blue is accurate enough for the tasks it will need to perform. Those tasks will involve exploring the frontier of how robots grasp, manipulate, and interact with all kinds of objects. “This robot is designed for the assumption that in the future, robots will be controlled much more intelligently by AI systems that use visual feedback, that use force feedback, much like how humans control their own arms,” says UC Berkeley’s Pieter Abbeel, a robotics researcher who’s overseeing the project. Say you want Blue to learn to fold a towel. For a sensitive collaborative robot, that might be a tough task, because bumping into the surface of the table might trigger it to stop. But being particularly flexible, Blue can put force on the table when reaching for the towel without freaking out. This is how we humans do it, and how we want future machines to do it as well: We first eyeball an object, then combine that vision with a sense of touch as we begin to manipulate the object. We don’t bump into something unexpected and then shut down—we adapt and feel our way through the world. The thing is, being super cautious isn’t ideal for either us or the machines. If you’re afraid of bumping up against the table, folding a towel gets a whole lot more difficult. “If something is totally safe, it’s not useful,” says UC Berkeley roboticist Stephen McKinley, Blue’s cocreator. “If you think about the environment we live in every day, most of the objects we interact with are not safe unless they’re useless. Everything is out there to hurt you if you want to actually fulfill a function.” Bicycles and cars are two obvious examples. The trick with robots is to mitigate that danger, which is a matter of getting them to interact more effectively with the objects in their world. One perk of a $5,000 Blue is that labs could buy several of the robots and run learning tasks on them in parallel, speeding up the rate at which their understanding of the world improves. “Unlike children, where each has to learn their own way, with robots you can have the same brain for all of them,” says Abbeel. One robot might stumble upon a solution quicker than the others, then share that knowledge, making learning that much more efficient. Plus, because Blue is tough, researchers can push it harder than they would a pricier machine that’s more sensitive to the world around it. Roboticists’ gain may eventually be humanity’s gain, if Blue can help push robotic manipulation research forward. Giant monsters in San Francisco Bay, take note. More than ever before, customers are doing the work salespeople once did. They search, they seek information — they research on their own. Too often, companies make their customers work too hard to find the information they need. Despite the constant chatter about user-friendly content, many websites still aren’t set up with the end user in mind. In the new age of voice search, SEO, and competition for consumer attention, failing to optimize a website redesign for allowing users to easily search and find information is a costly mistake for B2B companies. When considering a website redesign, the most important things to focus on are what user experience expert Gerry McGovern calls “top tasks.” These are the critical functions visitors to the site seek to accomplish, and they often are buried among other internally prioritized initiatives. Failing to optimize for your visitors’ top tasks will impede their ability to find what they are looking for and will negatively impact their overall user experience and, with that, the website’s ability to rank for key searches. Let’s consider a construction company website that has the goal of selling services locally. The website’s current homepage is taken up by news about the company’s sustainability goals, a blog post about the company’s 100th anniversary, and an article about employees’ recent charity work. Although these might seem like topics that local building owners would be interested in, the website analytics reveal that site visitors instead use the site navigation to locate the local portfolio of recent jobs and information about what industry sectors the company specializes in. The company is essentially making the customer dig around for the information for making decisions instead of presenting that information easily and quickly. Like all great marketing, a successful site redesign should start with the end user in mind. By focusing most prominently on what the visitor is directly after, you will greatly improve the overall experience with your website. Companies should research which tasks visitors perform most often and what information they want to get first and foremost from their websites. Once established, marketers can connect customer behaviors to KPIs and make better websites. Redesigns in 2019 should consider both what customers want to accomplish and how they plan to get there. B2B user research in 2019 will uncover new buyer behaviors that must be accounted for in new website design. Voice search is now one the most discussed optimization topics in website design for a reason. Demand Gen reports that 61 percent of B2B buyers begin their research with general search queries. By 2020, 50 percent of searches will be voice searches. The world has changed, and B2B site design must change with it. Voice search is conversational. People treat voice assistants like real assistants: “Hey Alexa, what movies are playing tonight?” Customers will ask questions, not plug in search terms to a text field. In order for a site’s content to rank in voice search results, host content optimized to answer those spoken questions. Create blog posts that address common needs. Break up Q&A and FAQ sections into individual pages, then title them exactly as customers will likely phrase their questions. Don’t be afraid to address specific or one-off questions that aren’t necessarily your main message; this is the long-tail content that voice searches will scan for. Anticipate what people want to know specifically and provide answers that are easily accessible. Just as Google optimized its search experience to satisfy the growing demand of mobile phones, the growth of voice search will cause even more focus on searchers’ preferences. The faster the website can produce answers for a searcher, the better it will satisfy the searcher, and thus, the higher it will rank in all search channels. So get rid of those giant, uncompressed images that you are using only for aesthetic purposes; big images are major contributors to slowdown. With about half of visitors willing to abandon a site after three seconds, fast load times are essential. Make sure to check out Google’s free tool to measure webpage speed to see your personalized recommendations for improvement. The percentage of local product and company searches made by voice will only continue to grow. As a first step to take advantage of this trend, every business should claim its free Google business listing to ensure its local listing is up-to-date in Google’s business index. Additionally, any B2B company that does local business should ensure that its company name, address, and phone number are easy to find on the website and in notable local directories. Schema.org helps businesses build their websites with search engines in mind, similarly to Sitemaps.org. This tool looks at the data and structure of a website and shows how to optimize the site for better searching. Markup metadata on Schema.org will be critical to the future of voice search because of structured data’s ability to help search engines classify information. This markup can apply to multiple areas, including businesses, events, people, reviews, and more. Many of these rules apply equally to B2C companies, but B2B operations should not overlook the importance of voice. Executives and decision makers are still people, and they search the same way everyone else searches. During the next site redesign, start with user research to understand your buyers’ top tasks and research scenarios. Use the results to spot opportunities to strengthen the site’s influence in a world where voice search is fast becoming the norm. iPhone 8 Vs iPhone 6S: What's The Difference?